Part of Karnak king list (18th Dynasty). 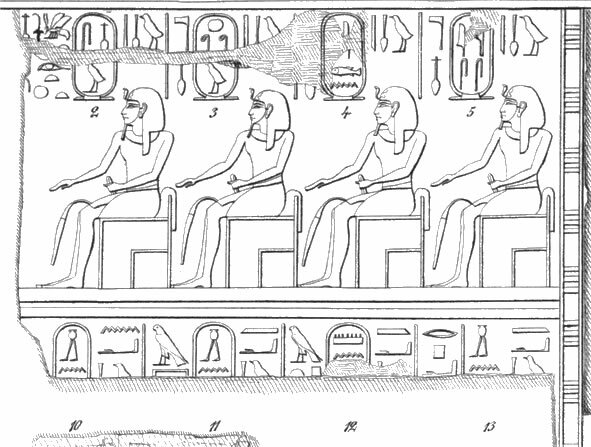 The kings are: 2) Sneferu; 3) Sahure; 4) (Nyuserre) Ini; 5) (Djedkare) Isesi; 10) In[tef II ? ]; 11) In[tef I? 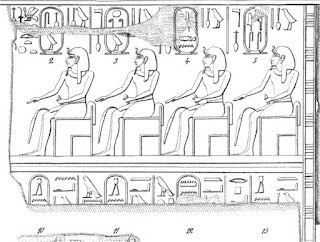 ]; 12) Men[tuhotep I ? ]; 13) In[tef the Elder ?]. 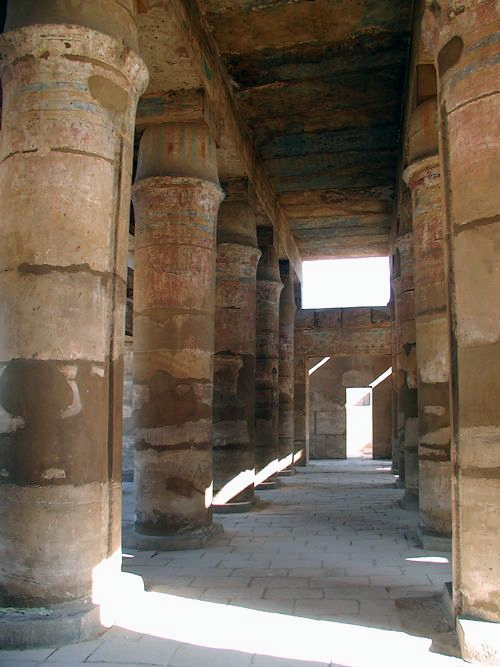 Interior view of the Great Festival Temple of Tuthmose III.